Follow these simple, yet powerful marketing tactics and check out how big brands are practicing inbound marketing. Plan of action – what strategy are you adopting in order to reach your purpose and make a profit. Content marketing is one of the most famous marketing strategies out there. Even though it might not totally comply with the classic promotion strategy definition, it sure is worth it. Content marketing is king. And the main reason behind it, it’s because it is worth it. With a little effort, any brand or company can share content with their audience. Slowly but surely, content marketing is part of a digital marketing strategy that eventually contours itself into brand awareness. How? It’s simple. Let’s say you are a company that is selling tires. And you start blogging about the importance of choosing the correct tires, safety and so on. Your audience will start trusting you more, thus, making your brand a good candidate for their next tire purchase. Thus, making content marketing a precious indirect form of promotion strategy. You might be surprised how important this matter is, but content marketing doesn’t resume at blogging. It’s everywhere. Online paid advertising or sponsored ads, website, social platforms and so on. Basically, anywhere there is copy directly associated with your brand, we call that content marketing. Of course, content marketing is more than just content. The process begins with creation (based on strategy) and is followed by promotion, measurement and constant optimization. However, there’s a learning curve to it in which the secret ingredient is patience. 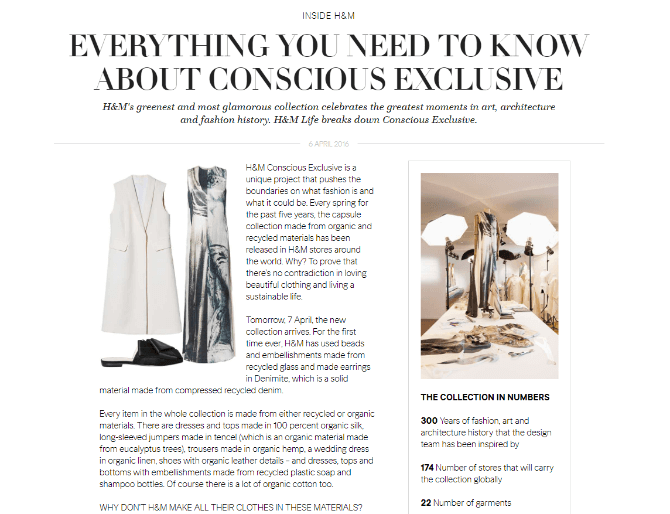 One of the best examples of great content marketing is H&M’s sales promotion strategy. H&M Life is their way of offering customers valuable information about their collections and fashion trends from the industry focused on local culture. Each social media platform has a different audience, which makes their usage more fun for brands. Snapchat is associated with youngsters while LinkedIn with a more professional public. 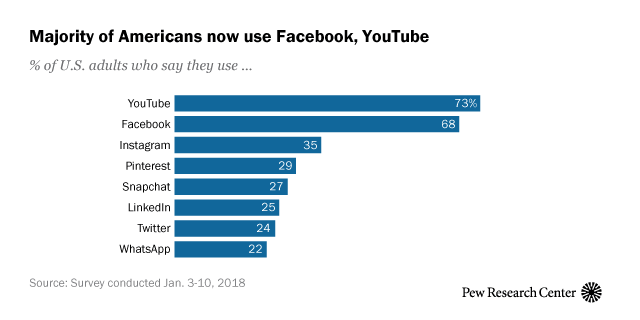 Think about it, according to the latest Pew Research Center survey, 68% of Americans use Facebook and 73% use YouTube. By rough numbers, that means 237.25 million people are using YouTube. And here rises the opportunity. 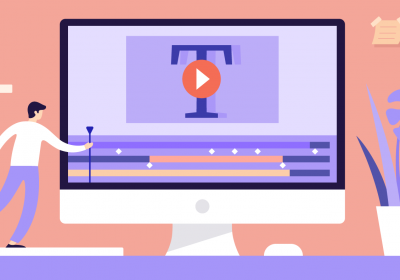 By simply creating a YouTube account for your brand, you have the chance to expose your brand to those 237.25 million people. Exposure is a great marketing strategy example. Find the right social media platform for your brand and take advantage of everything it has to offer. Communicate with your audience online. Social media is a great mediator between your potential customers and your brand. Moreover, it comes with a touch of personal feeling. Keep in mind that your approaches should be different on most social media channels. You have to use targeted posts and display ads, in order to maximize online conversions with buyer persona. Email marketing can be part of an inbound promotion strategy, as well as an outbound promotion strategy example. It is up to you on how you want to use it. Inbound email marketing focuses on building a relationship with the reader, instead of spamming them with selling emails. An inbound email marketing strategy promotion plan should keep count of a few things such as the value of the message and timing. 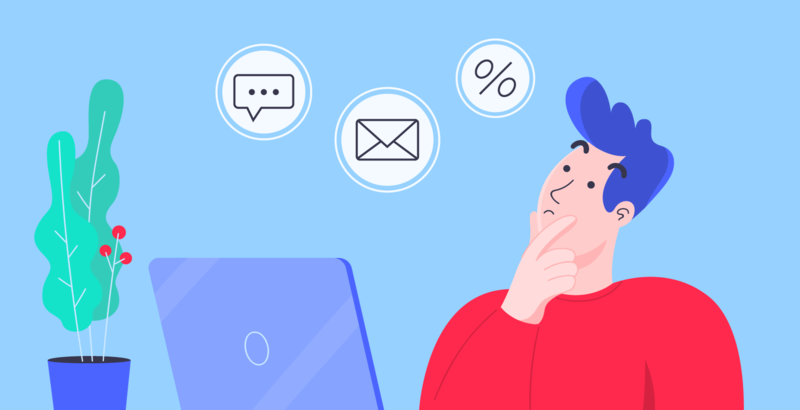 Once you managed to create your lists of email addresses, that means people are actually interested in your product or service. The only thing you have to do next is provide them with quality content, preferably targeted, through segmentation. Send newsletters, feature launches, event invitations, news from the industry and so on. Don’t forget to encourage email subscriptions on social media as well. 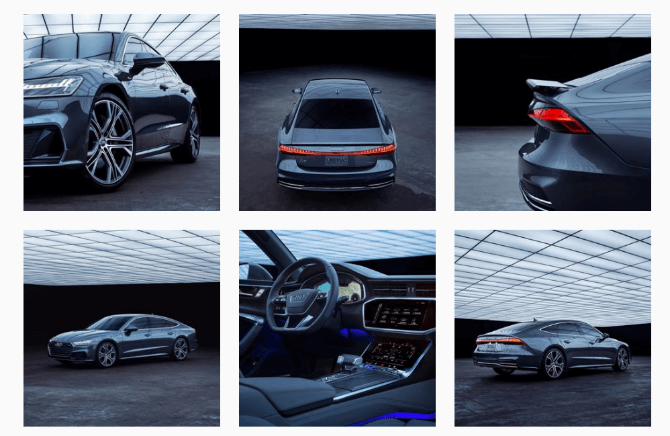 Take a look at Audi’s promotion strategy on social media. At first glance, you might call their Instagram page, boring…but if you look closer, you’ll see that boring is not the right word. I’d rather call them persistent. Their attitude towards social media is “if it’s not broken, don’t fix it!”. They simply stick to what they know works for their audience. Their Instagram social media strategy is pretty simple and catchy. Luxurious images with expensive cars in interesting & flattering lightning. Guaranteed success for an Instagram account with 12.2 million followers. Ca-Ching! In this case, the numbers speak for themselves. 92% of people will rather believe a product or service recommendation from a friend, rather than any other form of marketing. Word of mouth advertising, also known as WOM is one of the most valuable examples of pull promotion strategies. While experts consider it the strongest strategy out there, it is also the most difficult to obtain. It requires a lot of time and effort, especially if your brand is new on the market. However, there are a few techniques that encourage this type of brand promotion strategy. Consider creating a referral program, in which, customers who share their brand experience are rewarded in a certain way. Maybe a discount on their next purchase, a gift card or anything that will make them feel appreciated. After all, all inbound marketing strategy promotion plans have the customer experience as their top priority. WOM is an ongoing process, but it will get easier as your brand will grow. Think about creating social media groups and start a community around your brand. Eventually, happy customers will start to advertise the brand without you adding any extra effort to the process. Striving for viral content and great customer experience is a good starting point. If you are still questioning yourself about this marketing tactic, I’ll give you a clear example of a referral in practice. Let’s say you are going on a trip to Barcelona. Before your arrival there, what would be one of the first things you usually do? Bingo! Check for recommendations. You look for blogs, Instagram pictures or profiles, Trip Advisor reviews and so on. Well, in one way or another, all of those are part of a referral marketing promotion strategy. Adidas sales promotion strategy not only includes referrals, but also uses dark social media (sharing content through a third party) in order to get those much needed recommendations. “70% of global brand referrals are from dark social, not twitter or Facebook.”, says Adidas senior director of global brand communications Florian Alt. Thus, back in 2016, Adidas started their Tango Squads campaign. They started operating groups on messaging apps, such as WhatsApp and Facebook Messenger, inside of which they would share exclusive content and pre-launch announcements and so on. The principle behind this move is simple – link brand supporters, feed them with valuable information and have them, spread it with the world. These are the guys who will push out your stories and content. They give it longevity and authenticity, because they are talking in a private messaging environment. If it comes as a referral from your mate, you’re much more likely to pick it up than if it comes from a brand, says Alt. Sponsorships and inbound marketing go together like the horse and carriage. But there is a fine line between event sponsorship being outbound or inbound. The main difference is that outbound sponsorships usually chase attendees down in order to make them buy, while inbound sponsorship focuses on providing attendees with quality information, valuable content, and customer experience. Thus, aiming for building a long-lasting relationship. Of course, the main goal is the same – turning potential customers into actual customers, it’s just the approach that is different. In order to achieve this goal, you have to, of course, work for it. But first thing’s first. 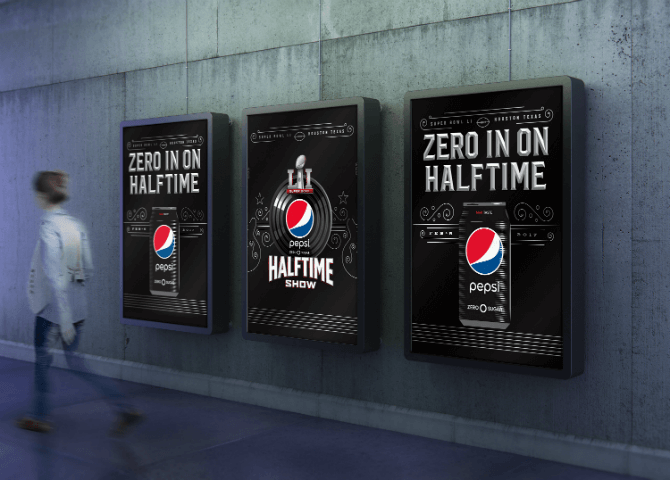 Place a strategic banner in order to initiate a brand recall inception. Then, think about how would you give value to the attendees. Have someone representative for your brand to perform an inspiring speech, create a flyer or an eBook with helpful information for the participants and so on. Inbound sponsorship is about building the foundation of a loyal brand-customer relationship. It might not follow through right then and there, but if what you offer is valuable enough for the participant, it will eventually them into loyal customers. I am pretty sure you all know already about one of the most famous partnership campaigns of all time. So far, PepsiCo has been using this sponsorship marketing promotion strategy to support the NFL and it’s getting on like smoke. This strategy works great also in local business advertising. According to Smart Insights, ambassadorships are the most effective form of influencer marketing. Now, if we break it down, ambassadorship is just like (number 3 – discussed above) the word of mouth sales promotion techniques, but at the next level. The story of brand ambassadors throws us back in the Marlboro’s cowboy era. As the name itself states, brand ambassadors is an extremely effective form of marketing promotion strategy. By associating your brand with a person of interest that is relevant to your audience, your customers (together with the potential ones), will be able to put a face to the name. Usually, brand ambassadorship makes the brand look more personal and human. Even though it is known that these ambassadors are getting paid by brands to promote their brand, the natural human response to another human’s experience with the product is more likely to be a better one, in comparison to a simple branding approach. Why? Because human beings are being driven by emotion. Any other human-brand experience will have a bigger impact on your audience, be it paid or not. Now the main question here is not whether or not you should think about an ambassadorship, but how to do it better? How should you choose the right ambassador for your brand? Of course, the response will be different for any brand, but the main guidelines include two pinpoints: audience (you should have a clear perspective over it), and relevance (you should also know what their preferences and interests are). Long story short, an influencer marketing promotion strategy can help you speed up the growth of your brand awareness. Thus, giving your brand more credibility and power of retention. I bet a lot of celebrity-brand associations come to your mind when thinking about brand ambassadors promotion strategy, but this time, we’ll only mention one. 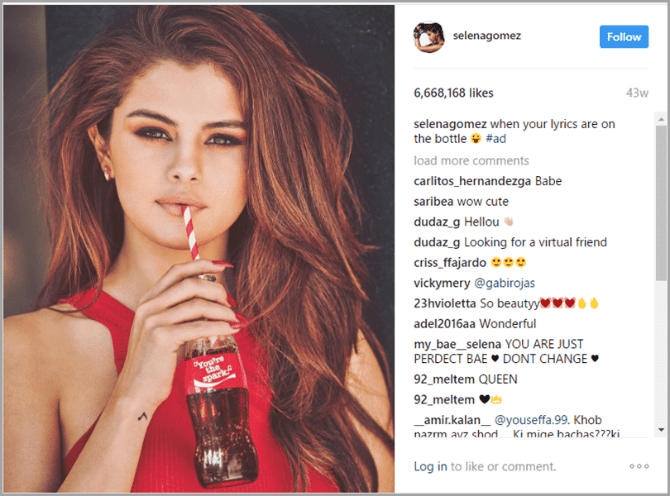 The Coca Cola – Selena Gomez is a pretty hard to beat duo. With almost 7 million Instagram likes, I guess we can officially call this brand-celebrity association a true success. Alright, let’s face it. Discounts are everywhere and people love that. Whether it takes the form of a free sample, a coupon or a promotion, sales can actually be a great example of an inbound marketing strategy for a product. However, inbound sales aim for something more than just a simple purchase. When it comes to inbound/pull marketing, it shouldn’t just a one time fling, but a long lasting serious relationship. So which promotions count as inbound marketing? Well, truth is, there is a fine line we’re talking about. Think about the times in which you decide to buy a monthly subscription for a certain brand, and after you check out their price lists, you realize that the yearly subscription is way cheaper. Now that is inbound marketing. Aiming for long runs, instead of short ones. Another common practice is the free samples. If you want, we can call this “the drug temptation”. Why? Because it works exactly like that. While the brand is confident that the person who tries the product, will be willing to pay the full amount in order to repeat the experience. On the other hand, the customers are more than willing to try something for free, without any strings attached. So, it’s a win-win situation. The same principle applies to free trials and demos. I’m sure you’re all familiar with the famous “first month for free” line. As harmless as it sounds, it is part of the same marketing plan. Netflix knows this sales promotion strategy very well and is embracing it with their arms open. Another fairly common example of successful sales promotions is coupons, again for the same reasons. What do coupons do? They imply a certain customer behavior, repetitiveness. Repetitive purchases create a certain type of familiarity with the product, that can easily turn into loyalty. 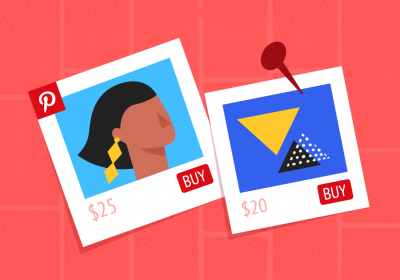 Refunds and rebates are some of the classics in product promotion strategies. The concept behind them is pretty similar, however, they are different in essence and practice. Refunds represent a way of guaranteeing your customers about the quality of your product. Does “money back guarantee” sound familiar to you? This promotion marketing tactic works like reverse psychology. Knowing that if you are not satisfied with the product, you can get your money back will make you want to try the product. Of course, brands who adopt this type of promotion strategy are mostly the ones who actually know, you won’t ask for your money back, because you will fall in love with your brand. Before you embrace this kind of strategy, make sure you offer a good quality product. Rebates, on the other hand, are counting on a different thing – the comeback of the customer. How does it work? In the case of this particular marketing strategy, the partial discount aka rebate, is offered only when the purchased quantity reaches a specific limit. The targeted public here is not potential customers, but rather existing customers, in the hopes of securing customer loyalty. Think about an expensive bottle of champagne. Let’s say it costs around 200 $. Adopting a rebate promotion marketing tactic won’t make people who never tried it before, buy two bottles of it. Chances are, customers (who are already familiar with your brand) will be interested in buying a second bottle for have the price. And that’s how rebates work. 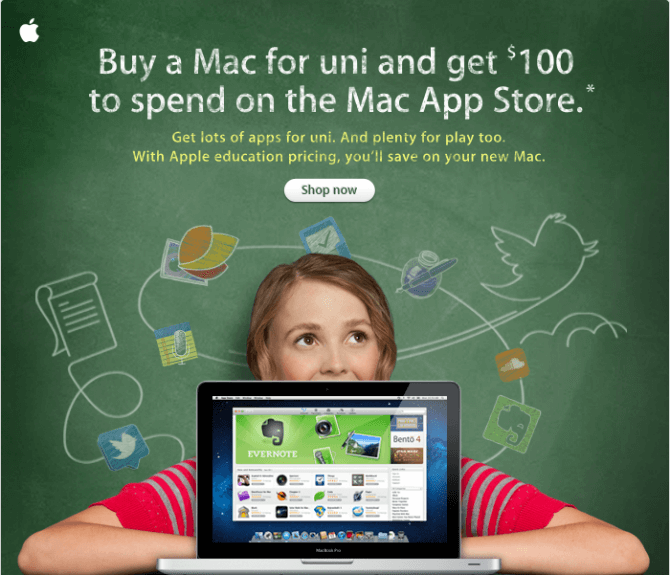 A great example of a rebate is Apple’s sales promotion strategy. Up until today, Apple has been taking advantage of rebates, in order to establish long term customer relationships with certain target groups. Every year, during the back to school time, Apple addresses students with approaches such as the one above. An oldie but goldie! Brands have been rewarding their loyal customers before this concept even existed. Whether it takes the form of points and client scores, or just simple bonuses at their customer anniversaries, loyalty programs and patronage rewards, follow the path of pull marketing strategies. Moreover, it makes customers feel appreciated and important, creating a special personal bond with the brand itself. This marketing promotion strategy is usually encountered in brands that have a touch of corporate to it. From bank points for credit card purchases to free internet from telecommunication companies, customer rewards are very famous in the world of pull marketing. 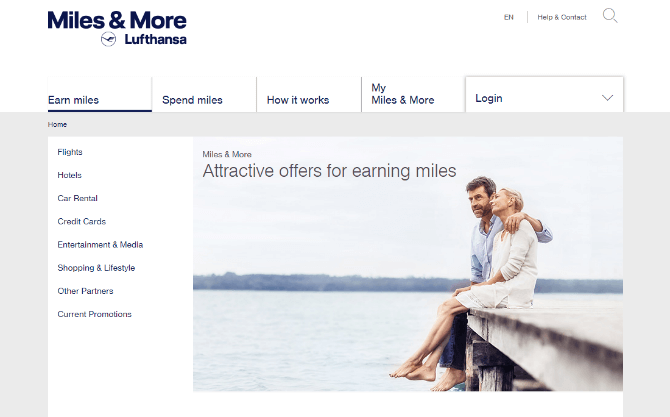 Take a look at Lufthansa and their “Miles and more” program. Not only is it the largest loyalty program in Europe, but also, has over 25 million members. Their miles reward system is a pretty complicated one, but long story short, the more you fly with them, the better the benefits. Better comfort, better prices, faster layovers, and many other privileges. Truth is, there’s no perfect recipe for success. Can’t follow certain steps and have guaranteed success. Why? Because success is variable and is influenced by multiple factors, such as positioning, quality of the product, the market’s power of purchase, economy, trends, needs, localization, and access to the product or service, product category – do people need it or is it a luxury purchase and so on. But the most important influencer in this is the audience. You have to know your audience in order to know how to preach to them. It’s really simple. Think about a simple white T-shirt. How would you sell it to a teenager in comparison to a woman in her mid-50s? The same product, same fabric, same material. Two different audiences, two different approaches. While the approach in the second case might have something to do with staying classy & appear slim, in the first case, it will probably be about being trendy & cool. Now, this is the right positioning for the right audience. Assuming you already know your audience really well. The next thing you should practice it and reflect on your sales promotion. If you’re still trying to figure out your target audience, you have to take a step back and get your research going. Start by looking at the big picture, combine it with all the data you already know, and create your buyer persona in 5 easy steps. Moving on, sales promotion base their principles on incentives. Usually, short ones, limited by time, in hopes of getting a buying response. Promotion strategies usually divide themselves into 2 big categories: push marketing and pull marketing. Push marketing goes back a long way and uses a more traditional approach. Push marketing strategies focus on a product-client facing. The main objective in this type of approach is to minimize the time and effort the customer is making from the beginning all the way to the purchase. The typical brand behavior, in this case, is almost synonymous with traditional marketing. Techniques such as direct selling (either door to door or through showrooms), points of sale and distribution, trade shows, public transports or highway ads and so on. The push marketing strategies count most of their techniques on an intermediate, such as retailers, providing them with their product, so that at the end of the day, the retailers will display the product and have it easily accessible for the final targeted consumers. Pull marketing sales strategies are, at the core, a little different from push strategies. Actually, a lot different. Their main focus is on brand awareness. Pull sales promotion strategies require a lot of investment, time and of course, money. If push strategies would be the product that you see on every shelf at the supermarket, yelling “pick me, pick me”, the pull marketing would be the product that focuses on itself. Creating a cool image about the product or service, thus making people look for it and recall it, without the need of seeing it everywhere and every day. It kind of works like reverse psychology. Pull sale strategies are associated with a more our “era” type of approach. Thus, brands that go for it and adopt it, don’t settle for a one time try “affair”, just because it’s accessible (since it’s not necessarily that. But instead, goes for a customer loyalty by building a strong customer relationship. The request, in this case, is reversed. The customer is looking for the product and is requesting retailers for it, then the retailers are requesting it from the manufacturers. The main difference between the two very different sale techniques is that push strategies are trying to sell an already existing product supply while pull strategies are trying to increase the need that would immediately increase supply requests. By cutting it down, push strategies would be like a chase, while pull strategies would be like magnetism. However, even though nowadays, inbound marketing it considered more targeted and cost-effective, these two strategies don’t exclude one another. Think about it, experiment & find your own perfect recipe for success! This is a great article. For new entrepreneurs, like myself, this is a value-added article to enhance my strategy. Hi Nick, I’m glad you liked it! I hope it will be of great use in your work! There were a lot of things inside it. I enjoyed it. Thank you very much! Super glad you enjoyed it! Keep an eye on our blog – we post tons of interesting and helpful articles. Stay tuned! Hi, archina.ir! I’m glad you found valuable info here. Keep an eye on us! hello, could we please have your surname as we are using this as a reference in our university work. Also a great article, been big help! Thanks for the read! Super glad you enjoyed it.